South Korea has a massive panic on its hands over Middle East Respiratory Syndrome (MERS), which has so far killed three people and left over 1,600 people in quarantine. Up to 7,000 tourists have canceled plans to visit the country. An 82-year-old South Korean citizen who was initially taken to the hospital with suspected asthma and bacterial pneumonia, was diagnosed with the MERS virus in a post-mortem Wednesday night, the Health Ministry said. The dead woman, who shared a room with other MERS-infected patients, became the 36th officially confirmed case of the virus in the country. South Korea is struggling to stem the outbreak. The authorities have quarantined about 1,600 people, the majority at home, but some in medical institutions, a health ministry official said, as cited by Reuters. At least 1,164 schools had been closed or canceled classes by Thursday, according to the Education Ministry. Two health workers are among five new cases of MERS in the country. "We are in a war," said an official at a health center in Seoul's Gangnam district. A South Korean Air Force officer has also been recently diagnosed with MERS. He was serving at an air base in Osan, south of Seoul. MT @RT_com: #SaudiArabia not doing enough to combat #MERS virus – @WHOhttp://t.co/rDzqEkn4Cipic.twitter.com/jDmJCJYZO6"
"Our hospital has established a plan to care for our population as well as screening those coming onto Osan," Colonel Brook Leonard wrote on the unit's official Facebook page. According to a spokesman for the Korea Tourism Organization (KTO), about 7,000 people from China, Hong Kong and Taiwan have canceled trips to South Korea. Japanese authorities also said they were looking for ways to introduce measures for those arriving from South Korea. "A mass cancellation on this scale is very unusual... and many travellers cited the MERS outbreak as the main reason," the KTO’s spokesman told AFP. On Wednesday a MERS hotline, launched by the government, received more than 3,000 calls as public alarm grew at the deadly virus. On Monday the authorities confirmed two death cases of the virus - a 58-year-old woman and a 71-year-old man. South Korean President Park Geun-Hye slammed health officials on Monday for their “insufficient” response to the virus outbreak. She called for increased government efforts to prevent any further spread of the virus. Health officials were particularly criticized for allowing an infected man to travel to China on a business trip despite doctors’ warnings. A 44-year-old man, who contracted the virus from his father, flew to Hong Kong before traveling on to the city of Huizhou in southeast China. He is currently under quarantine in the city. 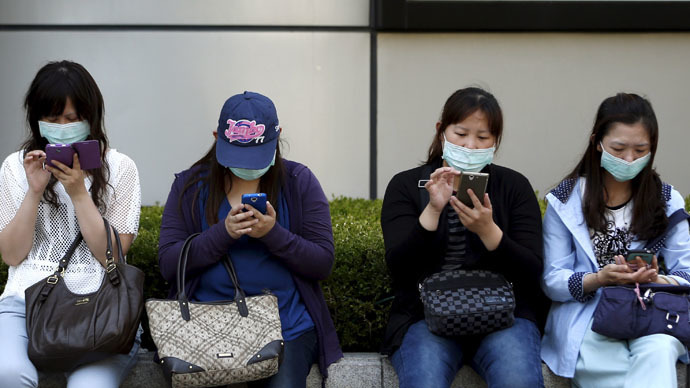 The European Center for Disease Prevention and Control earlier said that South Korea has the highest number of confirmed MERS cases, after Saudi Arabia, United Arab Emirates and Jordan. MERS, a respiratory disease, can lead to kidney failure and pneumonia. It can also cause respiratory failure that requires mechanical ventilation and support in intensive care. Up to four out of every 10 MERS sufferers have died. The virus appears to cause more severe damage to those with weakened immune systems: the elderly and those with chronic diseases, such as diabetes, cancer, and chronic lung disease. The virus was first identified in humans in 2012 in Saudi Arabia and by February 2015 the global death toll had reached 385.